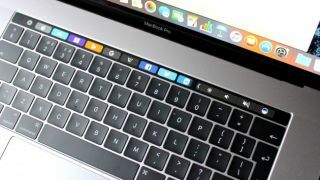 Want to use your shiny new MacBook Pro’s funky Touch Bar in an exam? Not so fast, says the Board of Law Examiners of North Carolina in the US, as it could facilitate cheating in the bar exam. Other US states have gone even further by banning Apple’s new notebook entirely, citing potential abuse of the context-sensitive OLED strip. The issue with the Touch Bar, as pinpointed by software testing and assessment firm ExamSoft, is that it offers a predictive text capability which could effectively be used to cheat in some manner. So from February 2017, those sitting the North Carolina bar exam with a new MacBook Pro will be required to disable the Touch Bar – and an ExamSoft technician will verify that this has been done before the start of the examination. Who needs law school when you have the best indie games? As CNET reports, some states have gone even further than this, and the New York State Board of Law Examiners has banned the new notebook entirely from its exams from next month. It further adds that if you do bring the new MacBook Pro to the exam, it will be physically removed from your desk and “you will be required to handwrite the answers to the essay questions”. So there you have it – best get hold of another alternative laptop for the New York bar exam, rather than Apple’s latest offering. It’ll be interesting to see if this is the start of a trend of the newest MacBook Pro being banned from other exams outside of the legal sphere. At least MacBook Pro owners got some good news last week, with the release of a macOS Sierra update which fixed the well-publicized battery bug that caused the notebook to fail to gain a recommendation from Consumer Reports (a decision which has now been reversed).